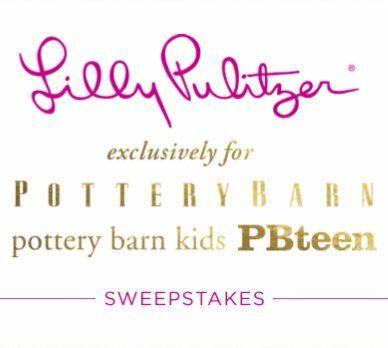 Win a Pottery Barn gift package worth over $4,000.00. $1,000 Lilly Pulitzer Shopping Spree, $1,000 Pottery Barn Gift Card, $1,000 Pottery Barn Kids Gift Card, $1,000 PBteen Gift Card. custom Hand Painted Canvas by a Lilly Pulitzer Print Designer, and a one hour-long virtual design consultation with a Pottery Barn Brands Design Expert.